For over two thousand years, Central Asia (composed of the former five Soviet republics of Kazakhstan, Uzbekistan, Kyrgyzstan, Tajikistan and Turkmenistan) linked the civilizations of the East and West with the ancient Silk Road. 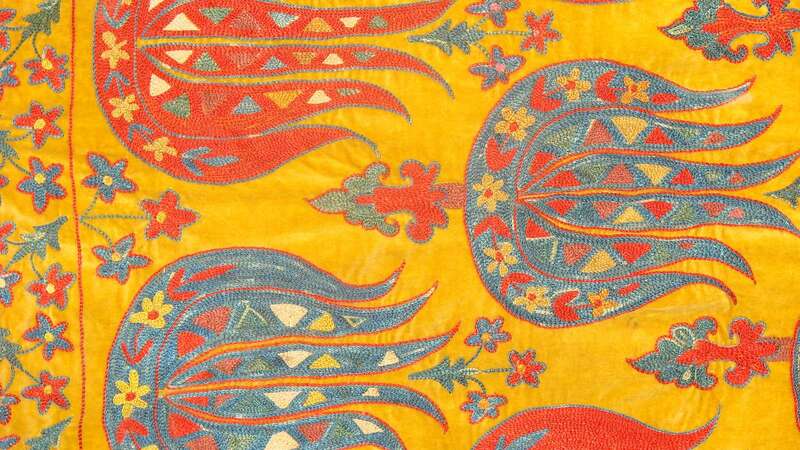 Populations, conquerors, religions, fashions, and ideas swept across the region’s steppes. Rose gardens encircled glittering palace oases, rising out of the windswept desert. Visit ancient Muslim civilizations here, and view some of the world’s most astounding monuments, Islamic art, and architecture. 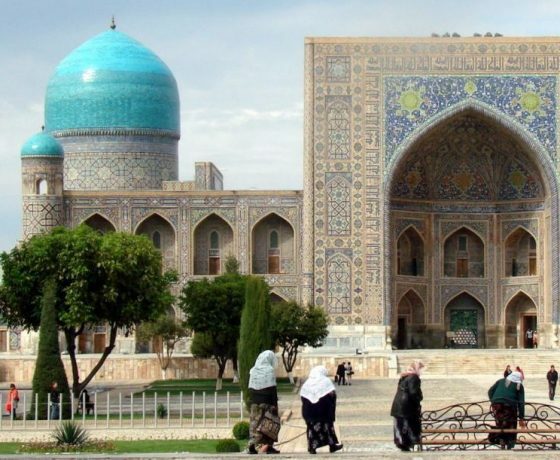 Marvel at luminous, cobalt domes dominating Samarkand’s skyline and the necropolis of Shakhi-Zinda, decorated with the finest majolica tile work. 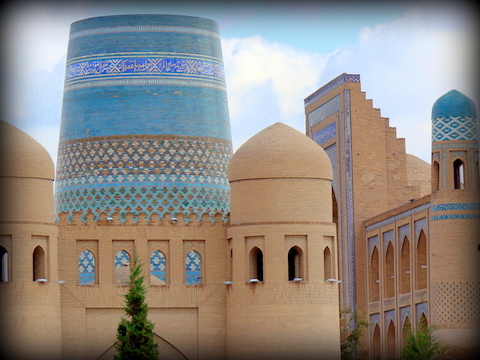 The “Rome of the Orient,” Samarkand evokes the exotic aroma of the ancient Silk Road. Visit Valentina Romanenko’s studio to see her lovely shawl painting. Perhaps catch a fashion show of her swirling silk creations. Fall in love with Ashgabat (dubbed “The City of Love”) with its imposing monuments and proud heritage of craftsmanship and textile work, which continues to this day in its sprawling bazaars. This fully escorted tour has set departure dates and tier prices from 2 members. If the group dates do not work we can arrange custom dates.